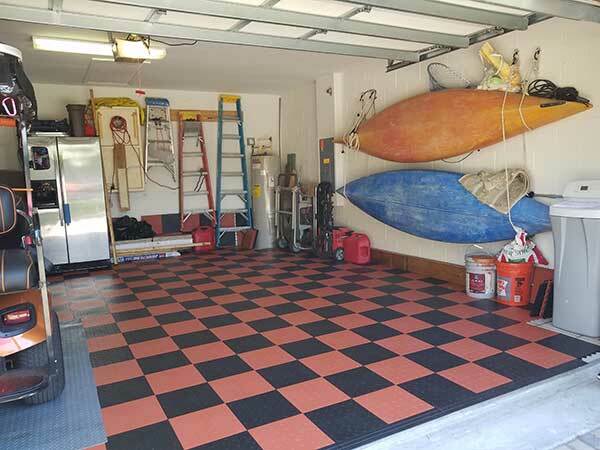 This is before finish tile and I plan to paint and decal garage. Should really pop then! ThAnk you! The samples were fantastic so I ordered some for my project. I have attached some pictures of my project so you could see what I used them for. Everybody I show loves the flooring material. The tile were so easy to work with. 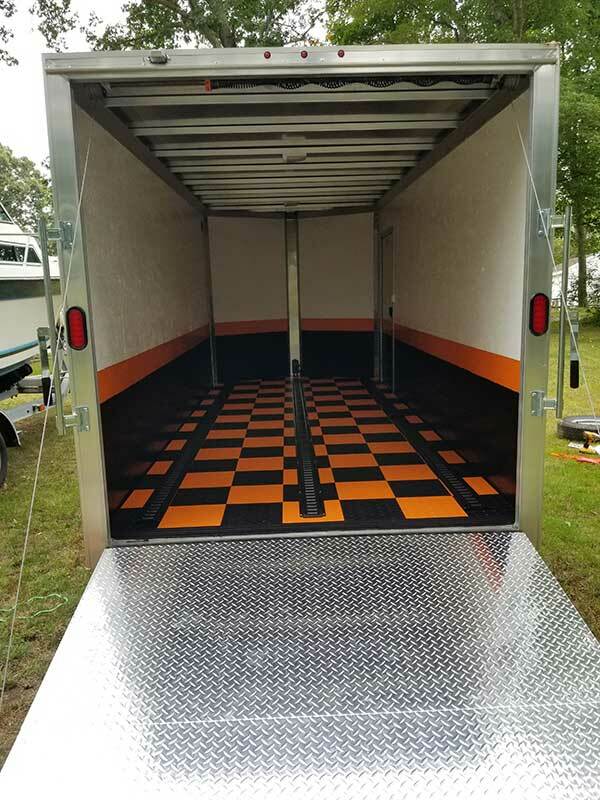 Very easy to install, looks great, exactly what I wanted the floor to look like. 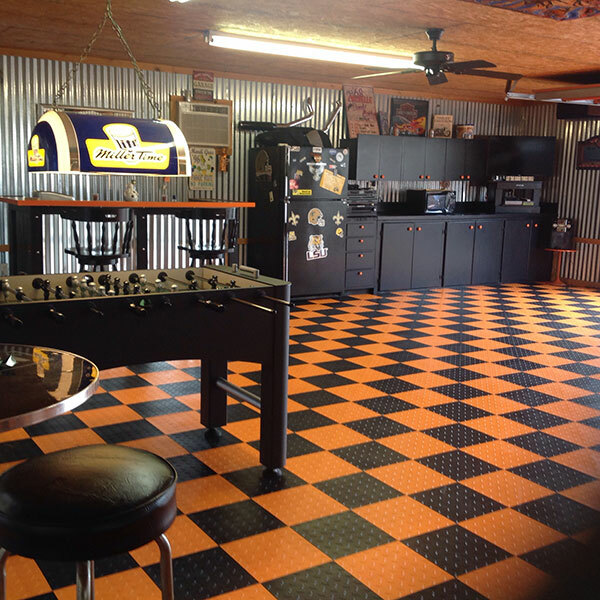 Hi Everyone, I just finished installing these tiles on my garage floor. Not only do they look great it was a easy task to complete overall. (Cutting for small areas was a bit tricky but I never seem to cut straight lines anyway). Not only does this look better than paint/epoxy it is going to last much longer. I repainted the garage about 2 years ago and it never came out right, left tire marks on it the first day. Then it started bublleing and peeling. thats not going to happen with this product! Very happy tht I spent the time looking for alternatives to re-painting and found this product. All of my friends this it looks great. (maybe I can get them to order) Obviously the inital price is more than painting but it is easier to install and will last much longer! Very satisfied customer! Love the difference this product has made to my garage. 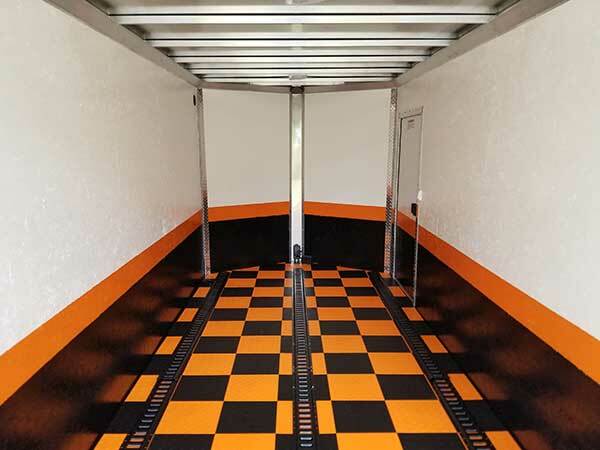 Evaluated epoxy paint and other tiles and this product was the most cost effective alternative. I have a huge 3 car garage and I put down all the tile in about 6 hours with having to move cabinets. The website was great also! 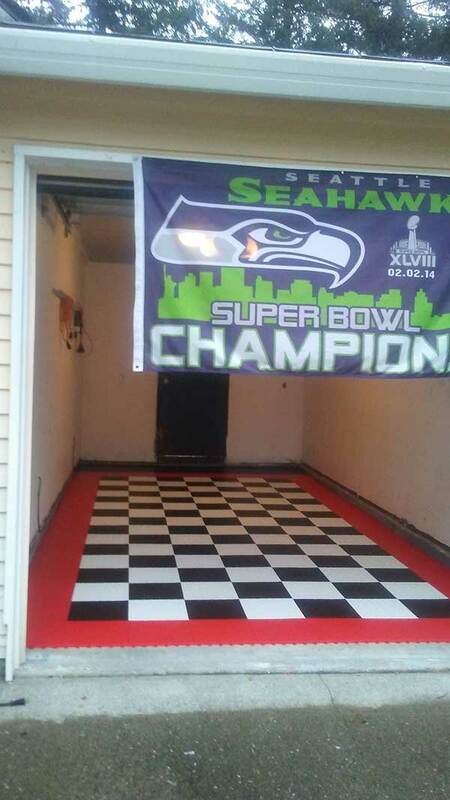 I was able to put in my garage dimensions and tell exactly how many tiles were needed. Awesome product great people to talk to when ordering. 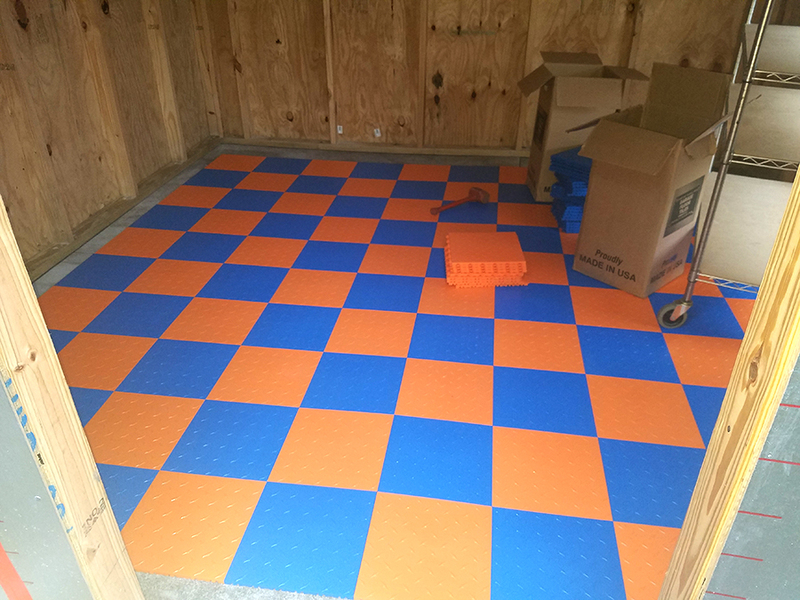 Very easy to use, my wife and I did a 24x24 garage in an afternoon. Would highly recommend plus it looks totally awesome. Needless to say it looks great to most people. However my wife is not so pleased (she's a Georgia fan). Already spilled oil on it and you cant tell, easy cleanup as well. Easy to install and looks great for a great price, what'a deal. I have a garage/work shop area. The new tiles makes it much easier to keep the floor clean. It's reflective qualities of the light gray help with more indirect lighting. Very easy to connect the tiles and to cut. Great product. Practical, logical, user-friendly. What more you want? Easy to lock together, easy to cut to fit. 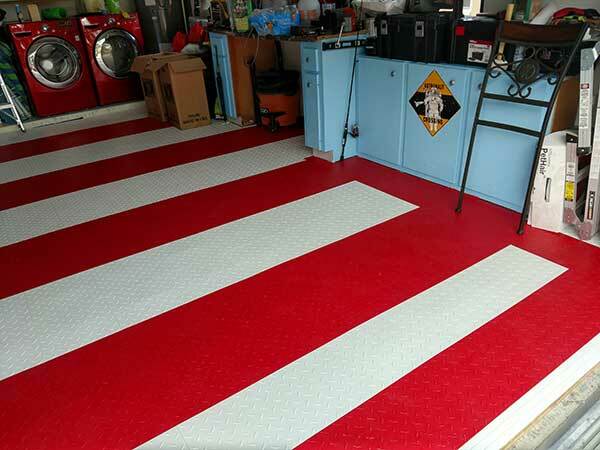 Very quickly I had a new floor in my garage. Product exactly as describe. The pieces locked in perfectly and tight. I have a car that gets driven only in the summer and sits on an epoxy coated concrete pad in my shop. I didn't want the floor to possibly peel up under the tired, so I went looking for a solution. These tiles worked perfectly . Many choices to choose from. Customer service was EXCELLENT!!!!! Awesome people to talk to!!! Highly Highly recommend this company for anyone who wants to put down these tiles for a shop floor. Also, very sturdy product, well made. AMERICAN!!! Extremely happy with purchase and product. Took about 3 hours to install. Glad I did it! Got free samples before picking a color. Delivery of tiles was super quick, ordered on Saturday, arrived on Tuesday. Installation was easy, except for moving all the stuff in my garage. I used a table saw with a fine tooth wood blade, and it cut the tiles easily to fit against the wall opposite where I started. They are easy to clean. As others have noted, they are a bit noisy when you walk on them. Very happy with them, and would buy again. Use some knee pads when you install, makes the job easy. We love our new floors. 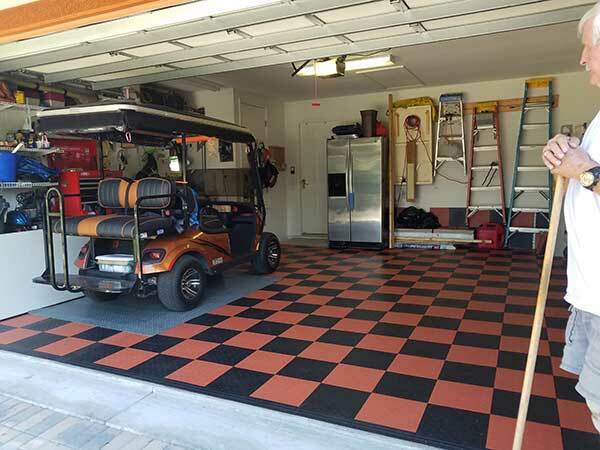 Nitro tiles offer very good quality and a nice environment to work. 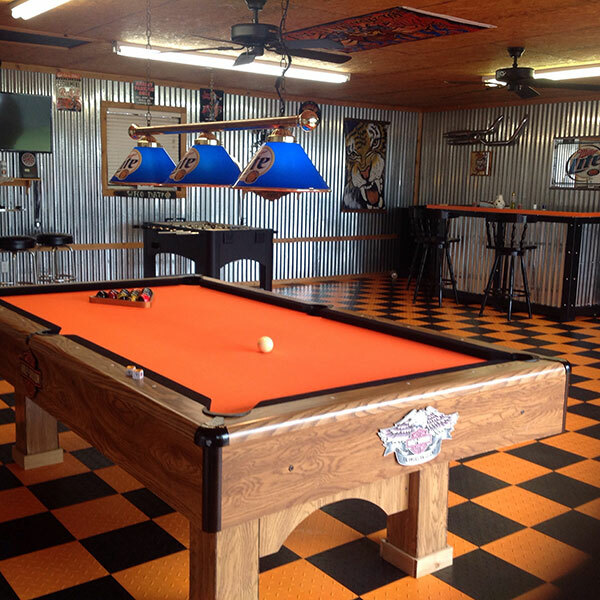 Used for a garage bar area and it turned out awesome. Easy to install. Flooring is very easy to clean up also and looks great!!! The order and shipping process is great. The instillation is a breeze and my wife and I put the entire floor (minus cuts) down in two hours. We had a three color pattern to follow if less colors I think we could have been complete in 50 min. with our 20x20 2 car garage. 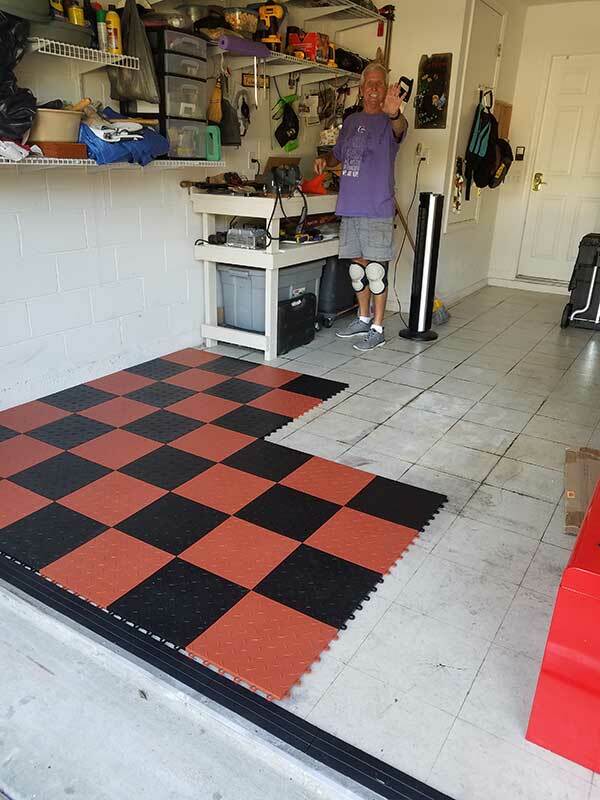 I have found that the tiles do not stand up to my Harley kickstand and I need to place a piece of plywood down so it will not leave a indentation in the floor. The car has a much broader point of contact and weight distribution so it does not leave any marks at all. I also had to place additional support under my shelving units to keep from making indentations in the tiles. Once done its great. I love it and everyone that sees it comments positively about it. I really like the tile. They look great. The only issue is when the sun hots them they raise and buckle. Its not a huge deal but kinda irritating.